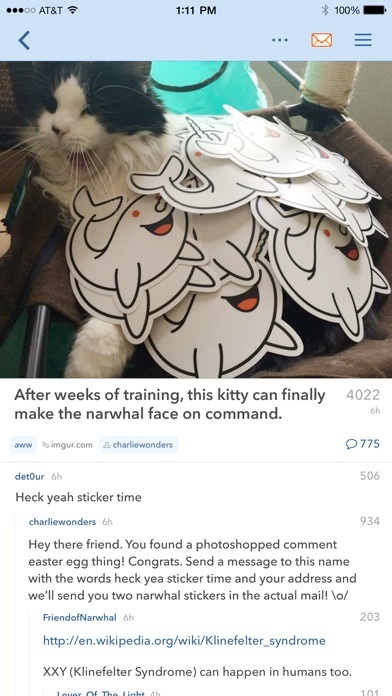 narwhal is a fast, gesture-based application to browse all of reddit. 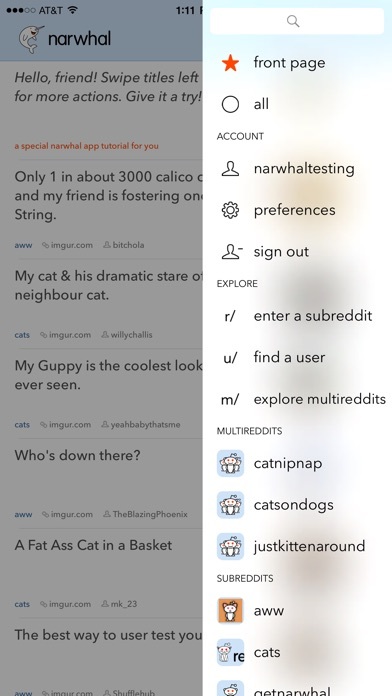 All of these features were designed from the ground up specifically for iOS: - View any and all subreddits - A seamless experience to see a link and its comments at the same time - Voting on posts and comments through a simple swipe - Hide and save links to your reddit account - Add new posts to your favorite subreddit - View all of your orangereds - What are you waiting for!? It’s free, go ahead and download! I’ve used this app for multiple years and I’ve loved it since Day 1. Unfortunately recently I’m no longer able to have my upvoted it Downvotes have any effect. They just disappear when I scroll away. I’m also no longer able to post or comment! Very frustrating. The design with the frames on the iPad is incredibly obtrusive. Needs swipe from anywhere to go back and it would be perfect. Hope the developer adds this option because it would be easier for users on newer generation devices. 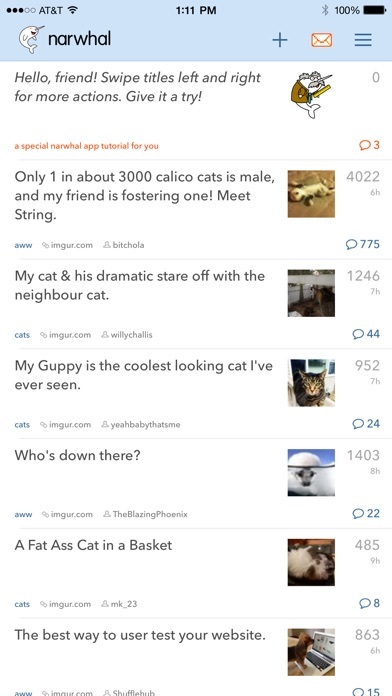 I love this app but for some reason lately my upvotes haven’t been working, every time I scroll past something that I upvoted it disappears like I never did. I don’t know if it’s just a glitch or my account is messed up. Hopefully if it is a glitch in the app it can be fixed soon! Thanks! I’ve been using this app for years and it’s never crossed my mind to look for another. The only issue I’ve had is in the past 24 hours, with the app saying I do not have permissions to post comments. Kinda weird but I’m a lurker so the karma doesn’t bother me. Just thought I’d let you all know. ... & give us the option to remove the narwhal icon in the top left so there’s more room for everything else. great app otherwise though. 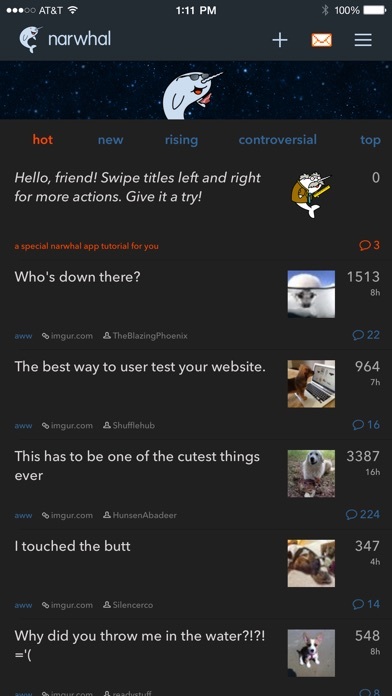 my preferred reddit app. 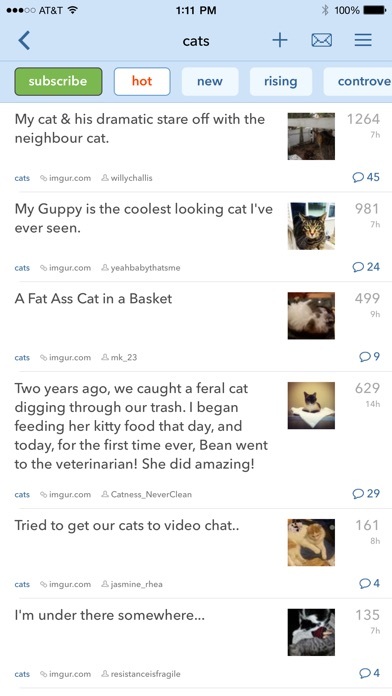 As of today (March 27, 2019), some ads that pop up at the bottom tend to freeze the app altogether, any way this can be fixed? Thanks for adding the advertisements with sound that you can’t mute and that play in silent mode loudly. Used it for a year+ now. Time to switch to bacon. You ****ed yourselves. Time to spread the word.